Felix’s disorder has put me in a really weird place. As you know, I’m a huge advocate for natural, holistic healing. By that I generally mean healing that is done without pharmaceuticals. I believe there is healing power in things like chiropractic care, meditation, food and nutrition, aromatherapy, herbs, essential oils, etc. Pharmaceuticals are problematic because they tend to be narrowly focused on symptoms rather than the underlying causes of an illness. They tend not to take the whole person into account. They inevitably involve side effects. I think they tend to be overused, and we put too much faith in them to the point that we ignore the negative aspects. And the research for pharmaceuticals tends to be profit-driven. Now don’t get me wrong: I’ve never been flat-out against pharmaceuticals — I believe they have their place. I know they save lives and I’m grateful for that. I’ve always believed in the value of science, hospitals, medicine, etc. I wouldn’t reject a treatment out of hand just because it was developed by scientists in a lab. But I confess they make me uncomfortable, and they raise all kinds of complex ethical and moral questions in my mind. And I tend to believe that where possible, a natural solution should be sought before an unnatural one. And then along comes Felix. He was born with a genetic mutation that prevents his body from building up an immune system. There’s no “natural” cure for a genetic mutation. Nature dictates that he should die. According to the laws of nature, he shouldn’t be able to pass down his genetic information to future generations. But we’re keeping him alive. Felix is being kept alive by science alone. His body is being nourished by a chemical cocktail developed in a lab, that’s being delivered directly into his stomach. He doesn’t even have to swallow it. Infection is being warded off my antibiotics and antiviral medications, which are pumped into his body intravenously daily. He spent several weeks on oxygen. Most significantly, the missing element of his immune system — an enzyme called ADA — is being manufactured in cows and injected into his body twice weekly. There is nothing natural about this. The best long-term solution for Felix’s survival is an experimental treatment called gene therapy. His bone marrow will be harvested, the cells corrected, and then re-transplanted into his body. He will essentially be a genetically modified organism. Everything I’ve ever known about healthy living doesn’t apply to Felix. I wasn’t able to breastfeed him, which I understand to the healthiest decision you can make for your child. In fact, he probably got CMV (a virus) from my breast milk which has put his life at risk. Everything I know about maintaining gut health and supporting the immune system is irrelevant to him. He’s been on constant antibiotics and is not allowed to get probiotics, because they could pose a threat to him. He can’t even spend time in nature, which I believe has immense healing power. The fungi and bacteria in the air could make him sick. I have no idea how to best raise this child and have had to defer to the doctors for all of it. It’s honestly a bit of an ethical conundrum for me. It even feels weird keeping him alive unnaturally. Obviously, I want my beloved son to live and be healthy more than anything else in the world. If he has a chance at a long and happy life I want to take it. It would be wrong not to take it, right? I don’t want him to suffer and die as a baby. But at the same time, we must all suffer and die eventually . . . is it so much worse as a baby? This experience is forcing me to be open-minded about science and research and pharmaceutical medicine. I am being forced to rethink many long-held beliefs and explore many deep-seated feelings. It sounds like you are thinking of healing as “either/or”–it’s either Natural or it’s Unnatural. I personally don’t think of it that way: I think of healing as HEALING Sometimes it is divine and it’s a miracle. Sometimes it’s from a chemical that humans invented and it’s medical. And sometimes it’s from a more naturally occurring plant, flower or food and it’s herbal. Yet those are all ways of HEALING, and we need them all. I think what you have been learning and advocating so long is to not depend on one method (chemical and medicine) to the detriment of other methods (nature and divinity). We can not put all our intentions for good health into the hands of the pharmacies and doctors only. We need to be active in our own good health by eating healthy–fueling our bodies with what they need–and we need to be wise in who we trust with our own health too! See all of this is what you were advocating: be smart. Give nature as much of a chance as possible to support your health. Too often our society turns to “pills” as an instant cure for everything from “feeling happy” to “losing weight” and that’s not wisdom. But that doesn’t mean there isn’t a time and a place for medical wisdom. In real life, there have been many medical advancements that truly are good and healing beyond the natural capabilities of Mother Earth. Yes, even with these advancements ultimately it is up to our bodies and God to do the healing, but the medical advancements such as those saving Felix are just the same as the natural and herbal things you advocated–they are HELP given to our bodies to give them what they need to survive. Your son did not need the invigoration of lavender or the calm of mint–he needed the chemicals to create an immune system. So healing is healing is healing. Divine, mediciinal or herbal it is all the same: giving the control to God to do His will, and giving a body the best things it needs in order to possibly get well. Oooh . . . there is so much wisdom here, Cindy. Thank you so much for this perspective! I am going to have to mull on this for a while. I think Cindy is on to something, healing is always going to be something from God. I think what you’ve been fighting against in supporting more natural methods is that so many people have forgotten that God gave us quite a few legs up in the natural world before modern pharmaceuticals and that’s very good and noble. But health has never been one size fits all. Even in the modern medical world what works for one person might not work for another. Perhaps something to think of is that Felix and his condition are outside the normal realm of “nature”, so we must venture outside the realm of nature to help him and that knowledge, experimentation and science is a gift inspired from God to help us fight against that faulty nature which destroys so much. I’ve wondered how this subject has been affecting you, and glad to see you working through it. In a very small way we’ve grappled with this too…. knowing our IF is genetic and that we most likely carry the material that has a higher risk of genetic mutations/defections and having to have serious discussions about how many interventions we’d give to a pregnancy that naturally wouldn’t survive on it’s own and that’s a hard discussion to have. It feels as if anything I say will be not enough, and that any experience I have would pale in comparison. I have thought a bit about this for myself and struggled with it as well. We are looking to have another baby, after our first was born premature and lived in the NICU for a month. They couldn’t give us any explanation for my water breaking 8 weeks early, so now I find myself unsure of what to do for our next pregnancy. Do I pursue the home birth I so wanted before? Is that even an option? Do I let go of my pride and my own selfish desires and go to a high risk doctor, receive progesterone shots, to give myself a better chance of carrying the pregnancy to term? I can say that I personally don’t know that it is fair to pit the value of your child’s life versus the value of the lives of other humans or children. It may cost hundreds of thousands of dollars for one life and that money could have saved other lives, as you say. But you son is amazingly valuable, as you also obviously know. What about the impact he will have on the world – what if his life does one day save many other lives? What if his story inspires others? What if his treatment helps to find a treatment for others? I’ve always believed that silly thing about the starfish on the beach. Each one matters, no matter the cost. Thanks for inviting us into this journey and your tender heart, Kathleen. When I read the title of your post, I was thinking “unnatural healing” more like supernatural healing, than “artificial healing.” I wonder if maybe thinking about your background studying the Middle Ages might help, because of course what we see as “natural” and “artificial” is not objective or clear all the time, and I think that’s something that Aquinas ponders a great deal. And continuing on my scanty knowledge of philosophy, utilitarianism is limited too: love and redemption and healing are always extravagant and excessive. We are all the recipients the grace unearned, privileges undeserved. Keeping thinking your deep thoughts and loving your small boy, and may he be rescued by the natural and unnatural and supernatural! I appreciate this post more than anything. I had honestly been wondering how you were doing with all these questions, because I know I would be asking the same things because we are so alike in so many ways and this idea of “natural” holds a powerful influence over how we make our decisions in life. I do wonder similar things in my own life regarding my healing and reproductive organs…isn’t it a bit unnatural to spend all this effort into getting my marginal body to work to produce a baby when there are SO many children out there that need parents? For me specifically, its not like I’m in pain monthly and there seems to be no major health concerns that I can see why we’re not conceiving (thus far) so what is really ethical to continue on treating? I don’t have any words of wisdom, but it appears maybe one of your readers does! I should go back and read her comment. Sorry to keep drawing comparisons between your situation to mine, but I’m just trying to draw on my own experiences to understand what you are going through. alison recently posted..He is exactly the same. Back to say, you have really wise readers! I think the severity of the disease is an important thing to consider: i.e., life saving treatment vs. just getting botox because you don’t like the way you look. Anyway, great food for thought here! A book called God’s Hotel might be of interest to you. It talks about slow ways of healing that harken back to the Middle Ages (and specifically how a sister named Hildegard of Bingen healed people), but it also is from the perspective of a medical doctor treating the sickest, hardest, complicated patients in San Francisco. I’m not sure if this is the kind of reading you’d enjoy at this point, but the author has a lovely voice and she gives a lot of thought to ways to reconcile both “slow” healing and modern medical interventions. I actually don’t think there are “natural” and “unnatural” ways of healing — just ones that take into account the interrelated needs of the whole person, and ones that treat human beings as fundamentally as a collection of body parts and systems to be tinkered with. Even with a modern, Western, “unnatural” medical system, good doctors try to heal the whole person, while keeping in mind the individual parts that may need some fixing. I hesitate to even say anything at this point because my words and experience and wisdom are so little, but your quandary reminds me a teensy bit of Jonah in the Bible. It was really really really hard for him to see good in the people of Ninevah even when they changed their minds and hearts. And possibly in your situation, it’s a struggle to accept the good that comes from a medical system that you previously challenged. But God works through whatever medium God wants to. You might be interested in the book Holding Silvan by Monica Wesoloska. She explores some of the ethical issues you have been pondering. I so appreciate your transparent-ness on your blog. I can so identify with your thoughts. My husband and I don’t have children, but I have had some serious health issues the past few years. I have tried to go with the most natural remedies and therapies that I could find, when possible. However, I still found myself, much to my disappointment, starting monthly injections of what I consider a scary drug to treat my condition. I felt I no longer had a choice when I started to have problems that would eventually lead to kidney death. Sometimes, we don’t have time for “slow healing” or completely natural healing. Sometimes, maybe we need the intervention of conventional medicine (surgery or chemical medicines) to buy us the time for our bodies to do some healing, or to buy us the time until we can afford to have the next surgery. Or to provide the healing that nature just can’t provide. I put off surgery until it wasn’t an option any longer. I put off the injections until it wasn’t an option any longer. There will be more surgery in the future – and possibly continued drug therapy. But I’ve realized that this may be necessary to appreciate some kind of quality of life in the present. I’ve been trying to avoid chemical medicines with a long-term view of trying to keep my body healthy and natural for future health – but perhaps at the expense of my current health and quality of life. This is wonderful, Nan. THank you so much for your words. So many interesting thoughts in this post. I really love Cindy’s response regarding different forms of healing, all if which are valuable. I just wanted to respond quickly to your thoughts about resources being used to save one baby vs many. I know this doesn’t address all the issues involved, but my take is that God entrusted YOU with Felix’s care. By care, I mean loving him well and doing what you can to protect him. So that’s exactly what you’re doing. Hopefully one day soon he will heal and you can worry about other babies, or about the environment, or about your children’s education, or whatever else it is you feel inclined/called to worry about. But right now caring for Felix is the focus of all of your energy, and that’s ok. I think it’s important to remember that the GMOs you reference are perfectly good plants that we humans destroy in our greed. Felix’s body is broken, and I believe trying to make it whole is holy work. Even if it uses the same sorts of technology that so often gets used for evil. My experience with my daughter is nowhere near comparable. Like you, however, I battled with a lot of ideas I had held when I found out she would have to take a drug and get frequent blood work done for the entire foreseeable future in order to live a “normal”, healthy life. The movie “Lorenzo’s Oil” helped me a lot during the first weeks as I came to a place of acceptance, and even gratefulness. My daughter is eight now. She still takes her prescription daily, though the blood work is far less frequent now. She is amazingly bright and beautiful, even though she is developing a defiant side, and I am thankful every day for the little oblong pills that allow her to thrive. The money you spend now could, theoretically save many lives, but it could also buy a Lexus. Besides, I don’t know if quantity is all that matters in this life. I try to do the most good I can for the people who end up in my life. There are a lot of hurting people in the world and each of us can only touch so many hearts. You are clearly coming from a place of love. Don’t beat yourself up for that love. Nourish yourself as you will need strength for your long journey. I have no doubt that when your resources are freed up later in life many people will benefit from your big heart. Felix is lucky to have a momma who cares so deeply for the world. He will benefit immensely. Your little man is. Beautiful! I have always believed in the future of transhumanism and cyborgs. It is tools that make us sapient. How do we distinguish sophonts from beasts? The first humans were those who began to use tools to complement our bodies, which is of course quite unnatural. I think it is good and not contrary to the divine purpose for us to stand above nature. You son may grow up a genius totally worth all the effort invested into saving him. My middle girl was born with a serious injury to her brain and body. 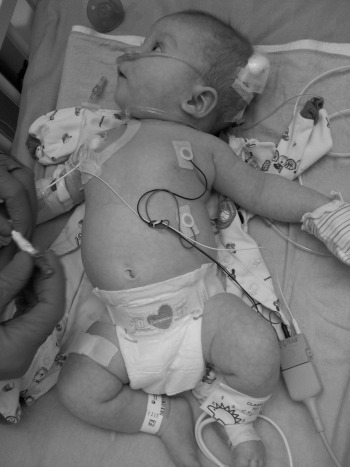 She was only in the NICU 4 days before she died. Had she lived, she would have “cost” many thousands of dollars to keep alive. I remember wondering if we should have let her go sooner. As much as I grieved her death, I felt sick over the $50,000 her four days cost and the thought of how many babies in another part of the world could have been saved with that money. It’s been two years since she died. I love her as fiercely as ever. I am grateful we had four days with her. I would do the same thing again. This world is broken. Not just death, not just suffering. The senselessness of the fact that my daughter, who was probably never going to survive in the first place, had so many resources in place to help her, while someone else’s baby died of tetanus. That is Sin. And I don’t have any wisdom about it. I take life as it comes. Sometimes I am very angry. I pray. I put myself at the feet of Jesus. I’m a small child, and I don’t understand. And I don’t have to. I realize that sounds very simple and maybe like a cop out. But to me it’s not. It’s an acknowledgement of all I cannot control. Of the absurdity of life and death. Love your son, and love his life as long as you have it. In the end it is all that any person can do. I am so sorry for your loss, Jennifer. It doesn’t sound like a cop-out. In fact, it sounds to me like you’ve got a lot of wisdom to share. Thank you so much for sharing it. I mean, don’t be caught in the trap of thinking that you can fix it. That you can make the world fair and right. You can’t. This place is fucked up. All we can do is reach towards love in the broken, small, and absurd ways we can. Sometimes love is a bone marrow transplant and lab made chemicals and all the extra days you can eke out, knowing that it doesn’t make sense. That none of it does.